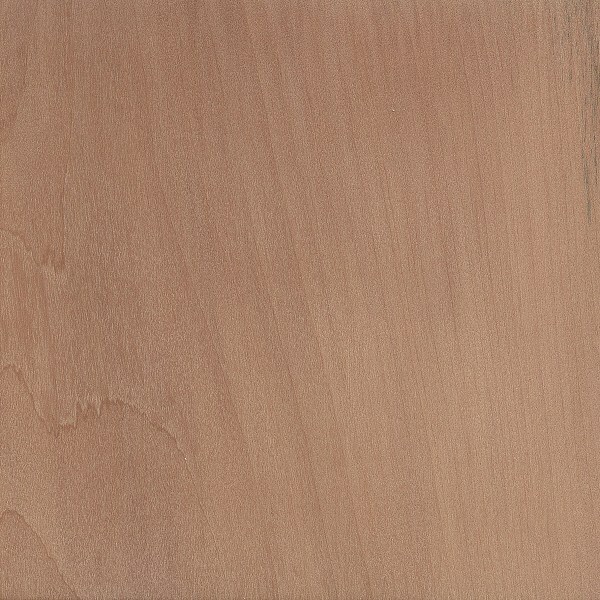 Color/Appearance: Heartwood is a pale pink or light reddish brown. 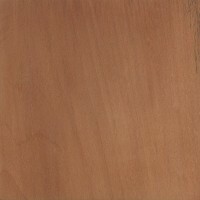 Sapwood is slightly paler but is not usually distinct from heartwood. Pear is sometimes steamed to deepen the pink coloration. Pear is also occasionally dyed black and used as a substitute for ebony. Grain/Texture: Grain is usually straight, with a very fine uniform texture. 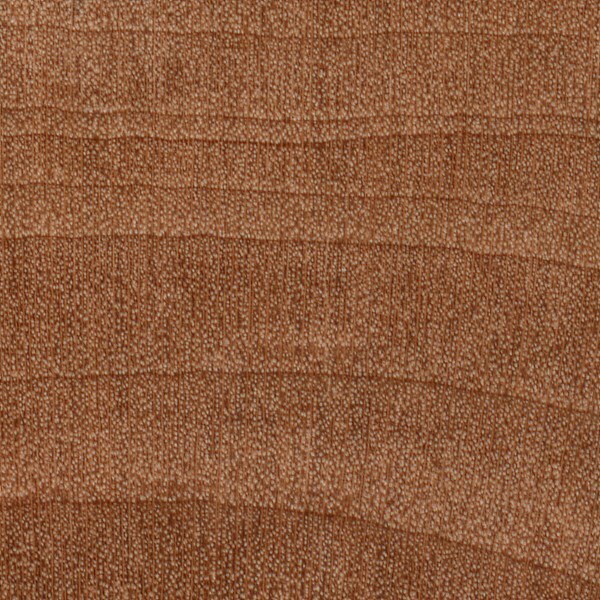 Endgrain: Diffuse-porous; small pores in no specific arrangement, very numerous; exclusively solitary; heartwood mineral/gum deposits (reddish brown) occasionally present, though not easily visible with lens; narrow to medium rays not visible without lens; parenchyma diffuse-in-aggregates, though not clearly observable with hand lens. Rot Resistance: Rated as non-durable regarding decay resistance. Workability: Overall easy to work with both hand and machine tools. Turns, glues, and finishes well. Allergies/Toxicity: Besides the standard health risks associated with any type of wood dust, no further health reactions have been associated with Pear. See the articles Wood Allergies and Toxicity and Wood Dust Safety for more information. 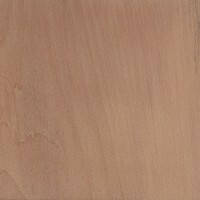 Pricing/Availability: A popular and premium hardwood in Europe, Pear is only availability in limited quantities in the United States. 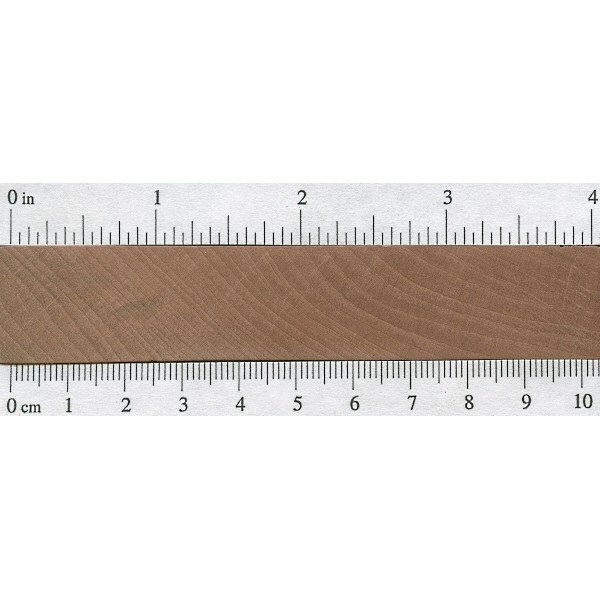 Larger logs are usually turned into veneer for architectural purposes. Expect lumber and veneer prices to be high for an imported European hardwood. Common Uses: Veneer, architectural millwork, marquetry, inlay, carving, musical instruments, furniture, cabinetry, and turned objects. Comments: It’s been said that Pear is used in Europe much in the same way that Black Cherry is used in the United States: as a popular and high-quality domestic hardwood. While not a turner, do have experience with pear as a green wood carver. Bradford pear has been one of of my favorite woods to carve. It finishes beautifully with no visible grain or pores and takes a nice shine with flaxseed oil. While most of my billets have been from limbs, I have recently had the chance to fell one for a friend which gave me access to the trunk. 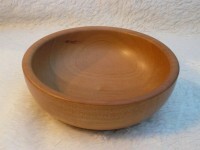 Most limb wood has a creamy yellow almost pear like color similar to the turned bowl in above photo. Surprisingly there ca be strong variations of color inside it spectrum all the way to a rather dark brown in one limb. The trunk has some fantastic pinks and purple hues that I can wait to see finished. Attached are some photos that may do a better job explaining Thani my words! 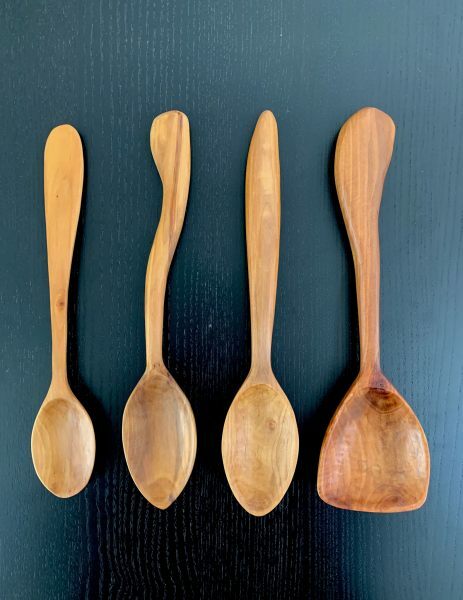 I encourage woodworkers to experiment with pyrus calleryana (ornamental pear) and report back here. I’m not interested in speculation, just in actual experience-based reporting of facts, such as the wood turner here. European pear was not readily available so I planted a Cleveland pear about 12 years ago. I cut it down March 2018 and saved the “54 inch straight trunk column. Had I known then what I know now I would have saved the crotch wood, the root graft sections, and the larger branches. Pyrus calleryana is considered an invasive species in much of the US, so no need to feel guilty cutting your trees. In my neighborhood there are dozens with trunks about 12”. Nurseries still sell it as ornamental, flowering pear. As soon as it was declared invasive, I began to hear the cognoscenti saying it was an ugly tree. When fashion can turn Snow White into Cruella Da Ville overnight I am alarmed at the mercurial swings of public opinion. Soon we’ll be burning witches. But, I digress. Here is what I learned: Wax the ends quickly as I experienced checking as soon as I brought it indoors into a controlled 47% humidity, 68°F climate. Great figure and color in crotch wood. Something like koa. 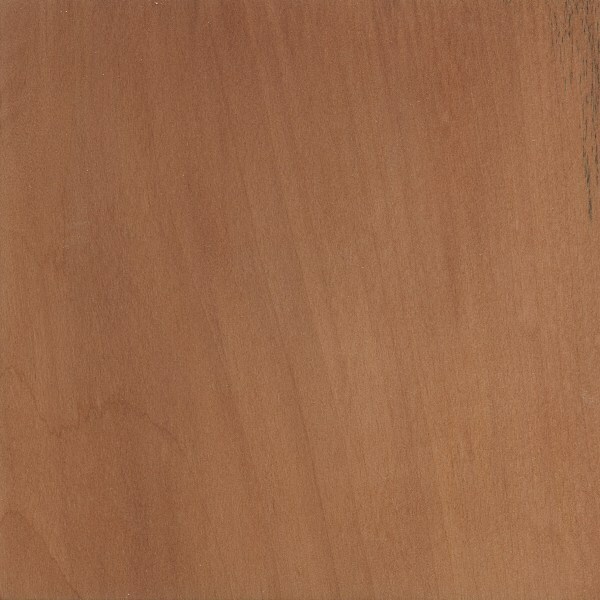 Trunk wood is not visibly distinguishable from my Swiss veneer samples from 1970s. I did not steam it to get this color. It happens naturally, and I expect the color emerges as fluids come to the surface in the drying process. 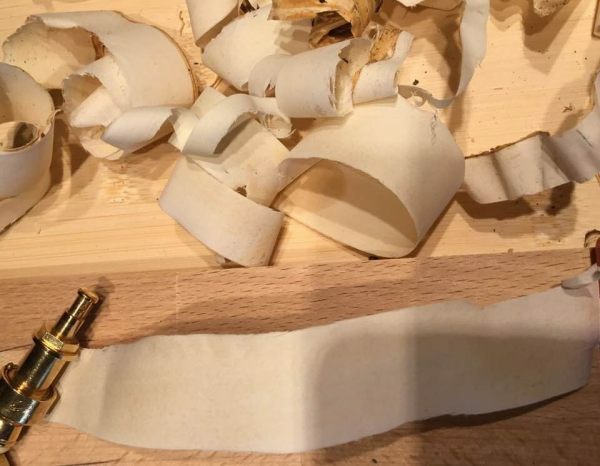 The most startling discovery was that planing the wood wet, right through the bark a few weeks after cutting the tree, to reveal a plane surface the length of the trunk, revealed wood whiter than holly. In fact, the close pore structure left plane spirals that look like vellum. So I wrote on them with a fountain pen. As good as paper if it only would stop scrolling up! I saved a bunch of plane curls and they have not changed color. However, the surface on the exposed trunk began transforming after I brought it inside. It is now identical in color to p.communis: a pinkish, salmon brown. The wood reacts quickly to iron to form tannin stains, making it readily ‘ebonizeable’ through iron in vinegar solutions to turn it a deep ebony warm brown/black. 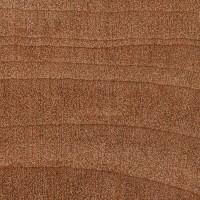 I expect fumed examples are available in european veneer. I french polished ebonized and plain samples to watch changes over time. Too soon to report. So, reactive tannins made me suspect chemical reactions from minerals in the tree fluids with tannins to form salts with atmospheric exposure, causing the darkening into the standard pear wood coloration from its “albino” look. Curls planed when wet dried white, perhaps because no wood fluids flowed through them while drying. Or perhaps curls dried too quickly for the process to take place. When left to cure as a log it becomes the traditional color pear color, as I saw when I placed a veneer sample from 1978 right on the surface. It matched so closely you can’t see it in the photos I took. This wood glowed under a seedlac French polish in my samples of p.calleryana the following November. I have many photos to illustrate, but it seems I can only load one, so I picked the albino form preserved in the curls. Could be “deposits” left by a borer insect. Pear trees are susceptible to them. 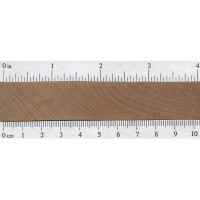 Pear has traditionally been used for applications where wood slides against wood, like drawer slides. 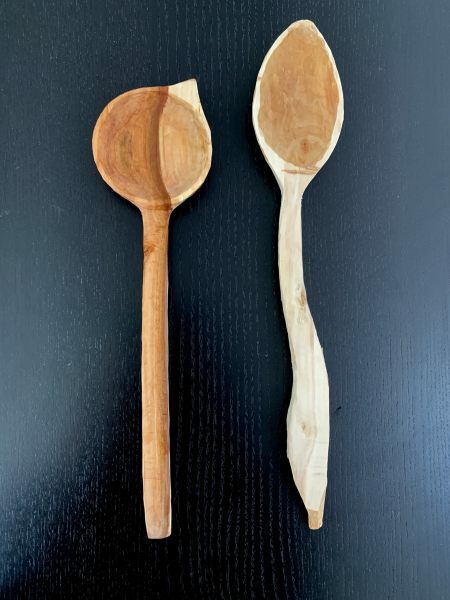 It is relatively strong, has low friction, doesn’t splinter as easily when rubbed against the grain, and the sliding action improves with time as the wood “self-seals”. Historical uses has also included slide rules and knife sheath inserts. Due to my experience with grafting I can attest that the related Pear species Pyrus calleryana (Flowering Pear/Callery Pear), or at least the uncultivated thorn-bearing wild growing ones I’ve found have harder wood than the common pear, without any way to test it exactly I can at least say it’s probably closer to Eastern Hornbeam or Hophornbeam in hardness.